Do you know about busy boxes? It is similar to busy bags: bags with activities to do while traveling, waiting or during quiet time, but it comes in a small box. 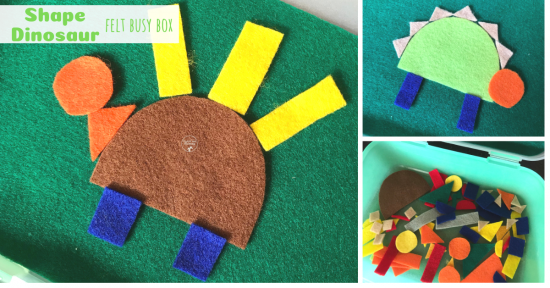 We have a quite a collection of felt busy boxes by now, perfect for times the kids must entertain themselves with the minimum mess involved. 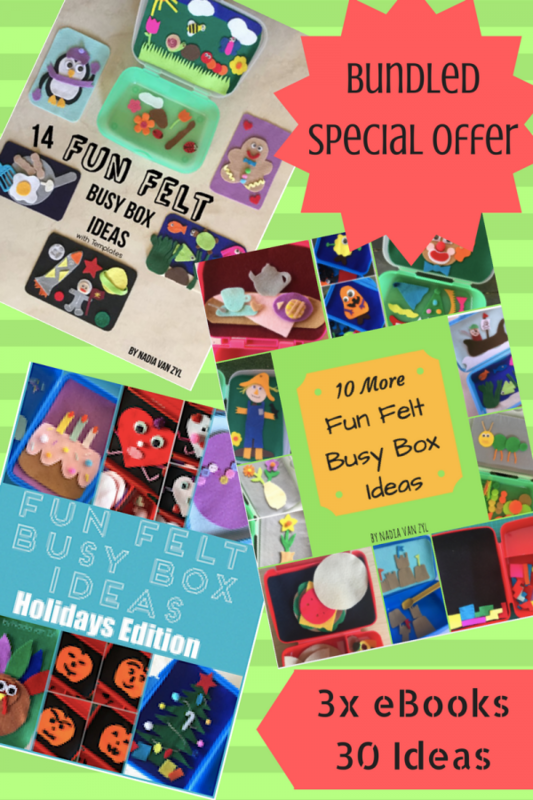 14 Felt Busy Box Ideas was published early last year, then followed the Holiday Edition and today we are introducing 10 More Fun Felt Busy Boxes! All templates are included. 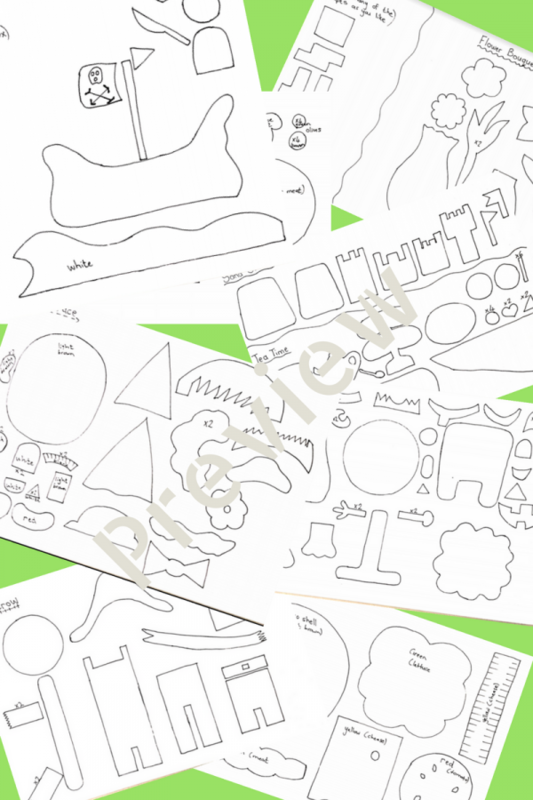 You can even enlarge the templates to use on a felt/flannel story board. 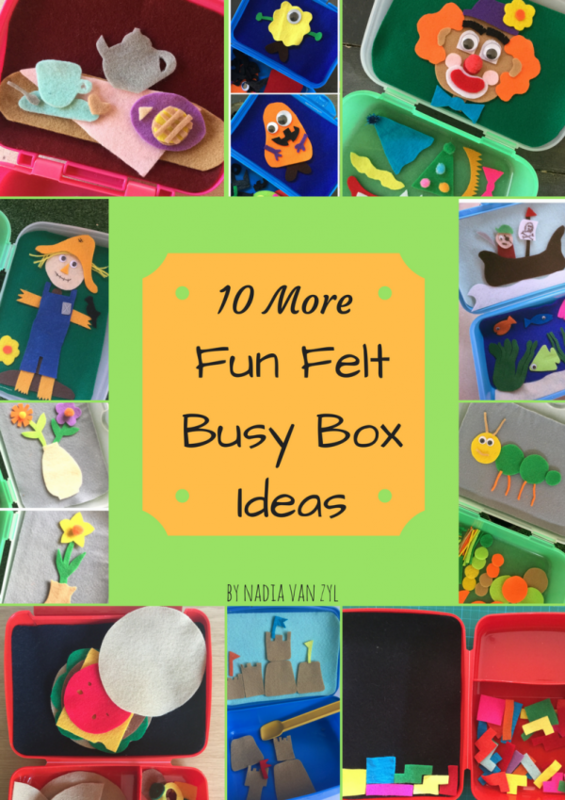 These busy boxes are perfect for ages 3 and up, special needs kids included(just beware of small parts). It also makes great gifts! 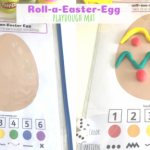 Not only does these boxes provide hours of creative fun, it is also good for fine motor practice(picking up those small felt pieces), body awareness(making a clown face, building a bug or a monster all requires knowledge of how a face/body can look) and language development(making up stories etc), just to name a few advantages. Also, there is a special BUNDLE offer where you can get all 3 ebooks and SAVE! So get your copy today and start making those busy boxes before you go on your next road trip/holiday! 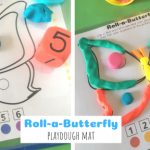 These felt play boxes are just the cutest!! I love this idea. I pinned it. 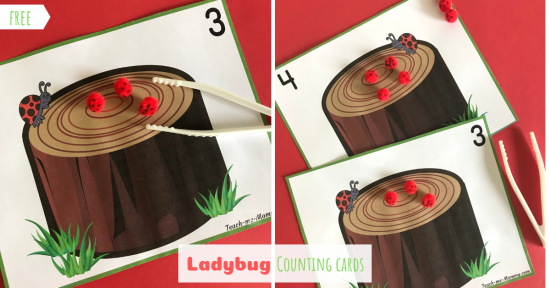 So creative, simple, and fun. 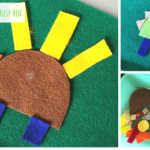 Hi, I purchased your 10 more felt busy boxes as part of a Sensory bundle in June 2018. However, the templates did not download. 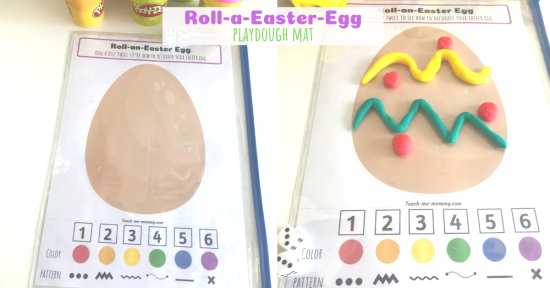 I would love to have the templates, so I can make these for my students. How can I get them without repurchasing them?